In 2011, Wasafiri realised that while CAADP – the African Union’s plan for transforming agriculture – was making progress with the public sector, it risked stalling unless its aspired private-sector response was triggered. At the same time, the World Economic Forum’s private sector-led “New Vision for Agriculture” was calling for transformative multi-stakeholder partnerships, but needed government counterparts to provide political leadership to advance enabling environment improvements. Wasafiri connected these two efforts and Grow Africa was born as a partnership platform to accelerate investments for sustainable growth in African agriculture. Convened by the AUC, the NEPAD Agency, and the World Economic Forum, Grow Africa generates concrete commitments by companies for inclusive and responsible agri-investment, and facilitates multi-stakeholder collaboration to ensure this investment delivers shared value, as both commercial returns and a beneficial impact on jobs, incomes, and food security. Strategy development and resource mobilisation, including successful grant proposals for USAID, DFID and SDC. Country representatives to facilitate public-private collaboration on agricultural investments and value chain partnerships in Burkina Faso, Ghana, Cote d’Ivoire, Nigeria, Ethiopia, Kenya, Tanzania, Rwanda, and Malawi. Frameworks and supporting their roll-out through priority value chains in Tanzania, Uganda and Senegal. Stakeholder relations with AUC, NEPAD, G7 and Civil Society. Managing annual reporting to track and analyse progress and challenges for over 200 leading agribusinesses. Coordinating the Smallholder Working Group for peer learning between companies pioneering new business models for commercialisation of smallholder production, including developing a series of best practice papers. 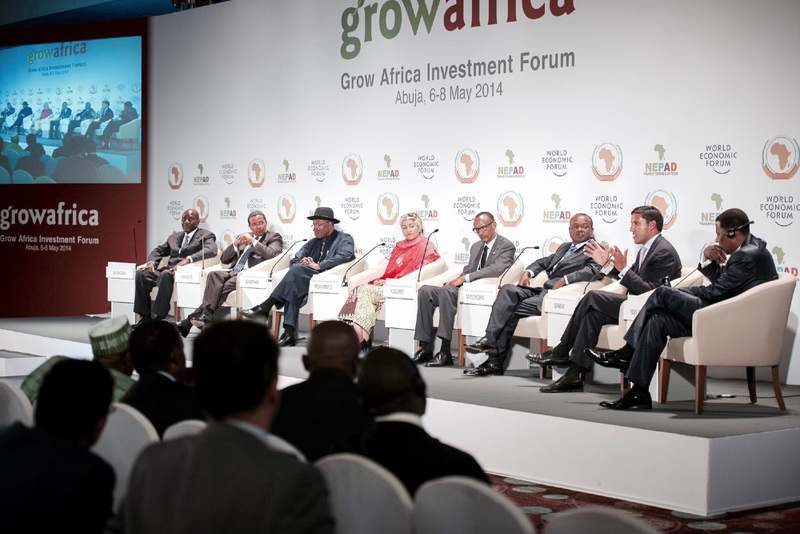 Since its launch in 2011, Grow Africa has mobilized US$10 billion in investment commitments by 230 companies. At the end of 2015, US$ 2.3 billion of the committed investment had been implemented. 70% of committed investments are by African agribusinesses, which also account for 73% of the implemented investment amount. This investment provided 10 million smallholder farmers with services and contracts in 2015. A total of 88,800 jobs were created over the three years. Grow Africa’s impact has been and continues to be broader than the figures alone reveal. It attracted new champions to African agriculture, including numerous Heads of State and leaders of major international bodies and companies. Backed by its three founding partners, Grow Africa has been a catalyst in changing thinking about African agriculture, contributing to a recognition among governments and donors that private-sector investment is vital for agricultural transformation to succeed and that public-private collaboration is vital to incentivize and increase the impact of private-sector investment. Grow Africa has incubated the development of multi-stakeholder business models and platforms that enable public and private sector investors and donors to collaborate effectively. This approach is now codified in the concept of Country Agribusiness Partnership Frameworks that the AU and NEPAD is promoting across the continent.